Have you flown before? This is a fun, animated game to help you with basic vocabulary at an airport. 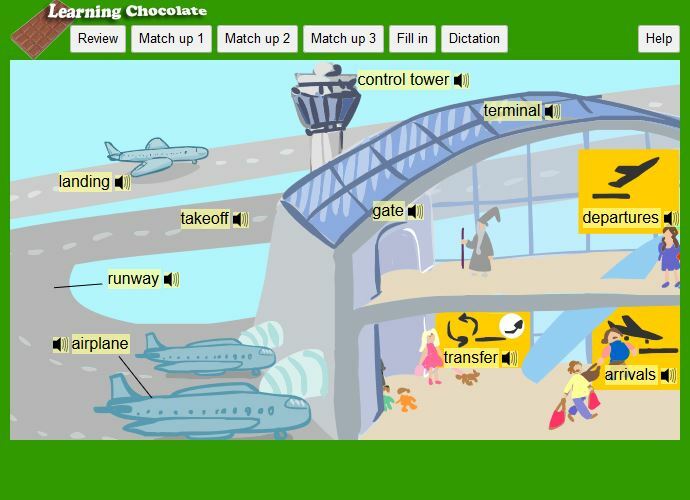 Review the words, play the games and watch the planes land and take-off!